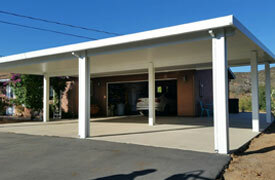 Aluminum City is a patio cover company with over 50 years of experience. 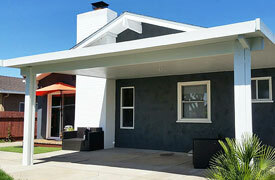 We design, sell, install, and replace a wide range of shade products at some of the lowest prices available in San Diego. Our selection of shade systems includes patio covers, window awnings, door hoods, carports, and outdoor patio rooms, all featuring quality materials, expert craftsmanship, and long-lasting durability. As a result of our extensive knowledge, honest business practices, and unbeatable value, we have thousands of satisfied customers and a thriving business that can count on more than a third of our work coming from returning clients and referrals. At Aluminum City, we are a full-service company where all work is owner supervised. That means that our owners themselves perform all of our work, never subcontractors, and not even employees or sales people. Our owners have worked with patio covers and awnings since they were in their teens and each now have three decades of accrued hands-on experience. They personally answer and return all phone calls, and will always be happy to meet with prospective clients anywhere in Ocean Beach. As a result, our patio cover products are highly affordable and priced to be lower than nearly any other Ocean Beach patio cover company. To schedule a free on-site estimate or consultation, call Aluminum City today. Our hours are 7 a.m. to 10 p.m., and our business is open seven days a week. We provide an average project turnaround of 2-3 weeks. Aluminum City is licensed, bonded, and insured, and we hold an A+ rating with the Better Business Bureau. Aluminum City provides Ocean Beach homeowners and businesses with a wide range of options for their patio covers. Customers can choose between a solid top patio cover, insulated top patio cover, lattice top patio cover, or combination top patio cover (which incorporates both solid top and pergola/lattice). These covers come in a smooth or wood grain finish, and our insulated patio covers have electrical channels for the installation of ceiling fans and lights. We offer different colors, columns, cuts, and wrap kits for additional personalization, and our patio covers can be free-standing or attached to your Ocean Beach property. At Aluminum City, all of our patio covers are built with materials from Four Seasons Building Products. 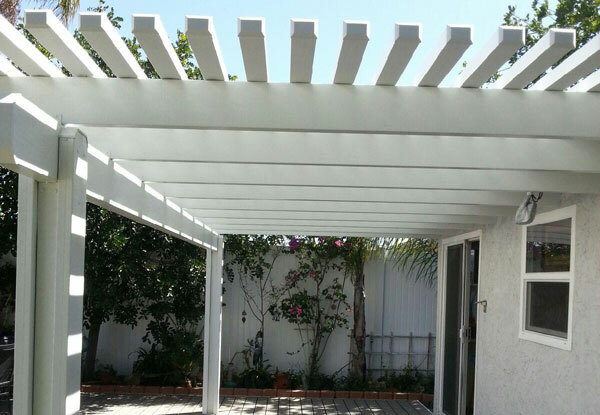 We believe a superior-quality patio cover begins with superior building materials, and Four Seasons Building Products is the only manufacturer that primes their aluminum prior to painting it. They offer a Lifetime Limited Warranty on all their products. 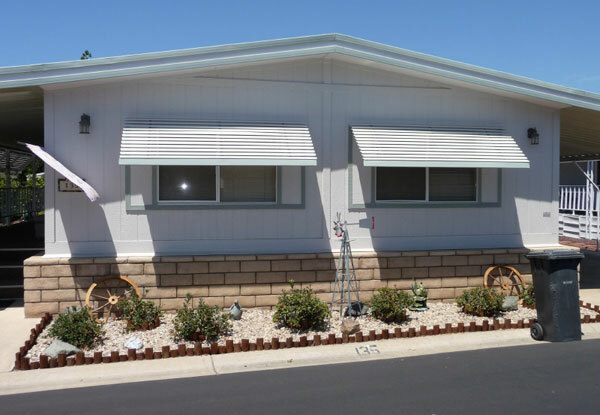 Our window awnings are a low-maintenance and cost-effective solution to provide protection from the sun and rain for buildings of all sizes in Ocean Beach. Made from 3-inch aluminum slats that are manufactured at Four Seasons Building Products, we install the awnings outside your building at a 45 degree angle for a slatted panorama look. Our window awnings are designed to last for a minimum of forty years, and they are a classic and long-lasting alternative to outdoor window coverings made of fabric. You can choose between twenty different colors to complement and match your surrounding property. Aluminum City has designed, crafted, and installed window awnings for homeowners, commercial offices, restaurants, police departments, retirement centers, apartment buildings, condo complexes, Navy bases, and more. 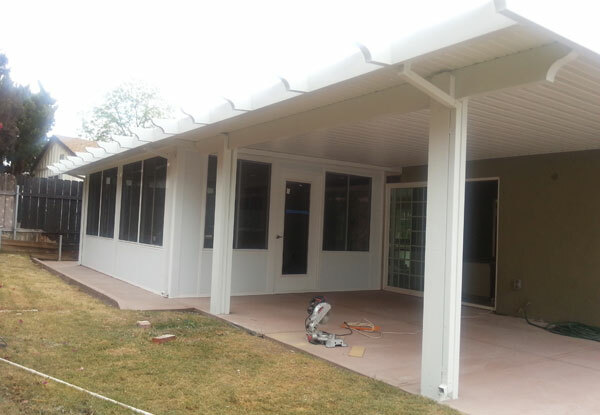 With over 30 years of experience in the patio cover industry, we are experts in crafting perfectly fitted door hoods for all kinds of residential and commercial properties throughout Southern California. Aluminum City works closely with our Ocean Beach clients to come up with the perfect color and design to complement their business or home. Our door hoods are all constructed from high-quality aluminum that comes from Four Seasons Building Products. We offer twenty different colors to choose from, and each door hood is custom-made for a perfect fit. Call us today to learn more. Our past clients include property management and insurance companies, and we've built and installed door hoods for San Diego condos, apartments, and more. Our pergolas (aka lattice-top patio covers) can provide the right amount of sun and shade for your Ocean Beach business or home. Clients can choose between six different colors, two types of grain (smooth or wood-like), four end cuts (bevel, miter, corbel, or scalloped), a variety of column options (standard 3x3 column, round Roman column, or square Roman column), and cement or surface mounting. We're happy to assist clients in designing and determining the appropriate style to match their property and its surrounding landscape. Not only are our pergolas beautiful, they are also virtually maintenance-free. Our patio covers do not bubble, flake, rot, rust, or chalk, and you don't have to worry about damage from termites. Furthermore, the lightweight property of aluminum means that it won't pull on surrounding walls or crack your property's cement. At Aluminum City, we craft sturdy carports to protect your automobiles, provide additional privacy, extend your workspace, and/or shield expensive electrical equipment from the sun and rain. Ranging in size to fit one car to up to 100 cars, our carports can be free-standing or attached to an existing structure on your Ocean Beach property. When determining how to build and install your carport, our process is to come out to your site to make appropriate designs and recommendations. 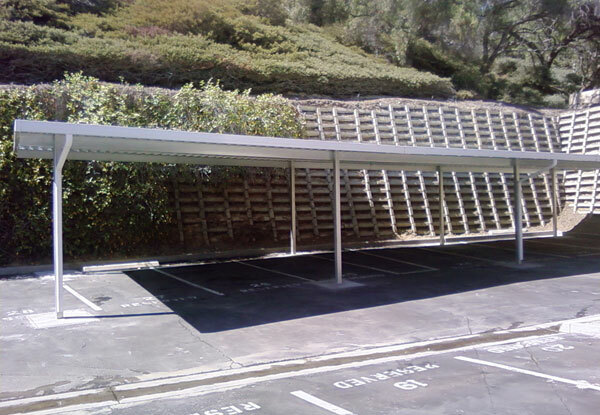 We build all of our carports with solid tops, which helps to ensure protection from the elements and sun. 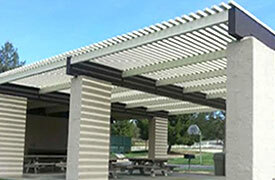 Our company can secure any needed building permits, and we always build our awnings to Ocean Beach city code. We can create an outdoor living room for your Ocean Beach property by designing and installing one of our durable and versatile California Rooms. 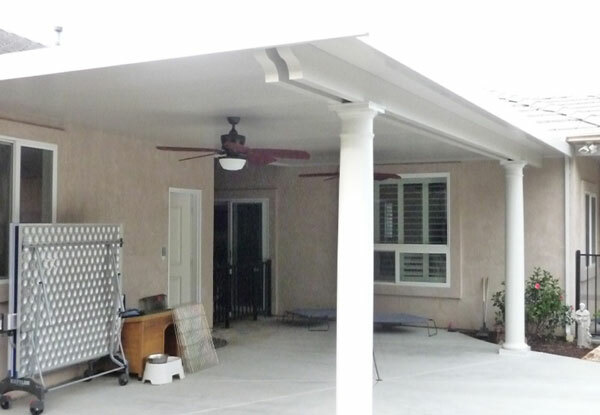 California Rooms are built out of insulated patio cover tops and walls. Filled with polystyrene foam, the walls and roof are four inches thick for maximum insulation and energy efficiency. We can install electrical lights and ceiling fans in your California room, and have a licensed and bonded electrician who performs all of our electrical work. You can further customize your California room with your choice of color, rafter end cuts, door (French door, sliding glass door, or standard door), and texture. Our windows are made of dual-paned glass, to keep your indoor area cool and further help save energy. 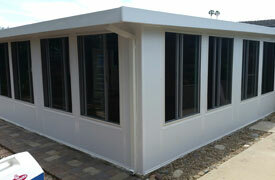 Our outdoor room enclosures are a popular option for Ocean Beach clients who wish to add a bonus room or enclosed outdoor patio for their business or home under a tight budget or deadline. Aluminum City replaced my old patio cover and did a beautiful job. I was very pleased with their work. The workers were very neat and cleaned up very very nicely. I am 100% pleased.